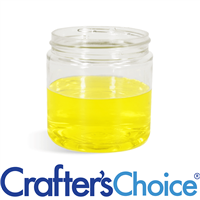 This Clear Basic Jar is made of PET plastic and can hold 8 oz of product. Use this plastic jar to show off your layered salts, scrubs, foaming bath whips and more! COMMENTS: I was pleasantly surprised by what a great quality these are when they are so competitively priced. Perfect size for sugar scrubs. Also shocked by how faint the seams on the jars are. They look really nice. "Good jar for the price! " COMMENTS: Best deal I’ve found so far. Will definitely be ordering again! COMMENTS: Perfect jars to showcase my products so that customers can see what the product looks like. COMMENTS: These are the perfect size for my scrubs. 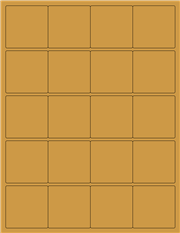 It is a good shape/size to fit everything on my label that I need. 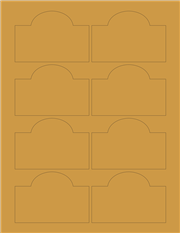 Easy to fill opening. COMMENTS: These jars are perfect for my whipped soaps! COMMENTS: I use these jars for body butters and scrubs, and they hold up well. 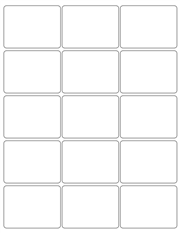 There's enough room for my product labels and plenty of the product itself. "PERFECT!!! 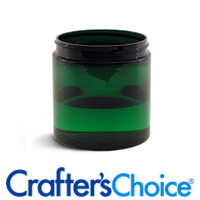 High Quality, All Purpose Jars"
COMMENTS: I was purchasing my jars from another supplier until I found WSP. Being a first time buyer, I was a little worried about whether or not they would leak as most of my products can melt living in the high heat temperatures of Florida. After receiving my first order and putting them to the test, I was thrilled they did not. They are great quality, heavy duty jars. That do not leak - BEST RELIEF EVER!! The wide mouth makes things even better with there not being a mess when filling the jars and allowing extra wiggle room to work within them. I now use these professional looking jars for my creams, lotions, body butters, scrubs, and will start to use them more as I introduce my whips and shaving soap soon. You cannot beat the quality or price combined with the free shipping. Thank you WSP for doing it again, offering competitive pricing and great customer service. 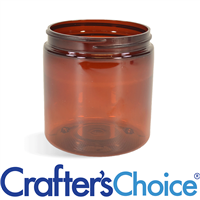 COMMENTS: Never had a problem with the jars, they are quality-made, heavy-duty plastic. COMMENTS: These jars are high quality, look amazing with product, and are the perfect size for my goat milk body butter. I sterilized the interior with alcohol prior to use, and they did not discolor or stain. The outside is perfectly ready for any label. Will definitely be purchasing again. 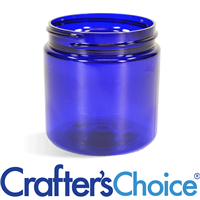 COMMENTS: These are nice, crystal clear all purpose jars for a great price. Especially if you buy 48 or more. I bought the black domed tops to go with them and I’m very happy with the overall look and quality of these. Until now I’ve used glass jars because 1. My products look beautiful, and 2. I like that glass is sustainable and green. But none of these things matters as much as safety, and glass containers are not safe in the shower. So before I added scrub to my line I searched all over the web for the best quality, most affordable plastic jars and just like Dorothy I discovered that what I was searching for was right here all along! I’ll still use my glass jars for a few of my more expensive products, but I love the color variety offered with these jars (and matching bottles!!) 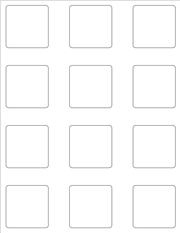 that can clearly differentiate product types to my customers. Not intending to make a stereotypical comment here, but in my experience (most, many?) men don’t like to hang out in the body isles to read all the labels and smell all the choices as much as some women do. They tend to look for the familiar packaging, grab it and go. ...may I digress? I miss being able to speak about things like basic marketing trends as they apply to different genders without fearing my words will be dissected and labeled as offensive to everybody! And I appoligize if that’s... “millennial-phobic” ?! But I do think color coding products is a good idea and I like the options WSP has to do that at least in part. It would be awesome if you could carry the color scheme’s throughout the rest of your packaging. The 16oz stand-up black/ white pouches you have are great, But you only have those 2 colors, though they come in many others. COMMENTS: Nice jars for my sugar scrub. They look good and are easy to get product in and out of. COMMENTS: Love these jars for my sugar scrubs. COMMENTS: These have got to be the best quality jars that I have come across. They hand temperature very well and are very sturdy. I currently use them to package my body butters and customers love the jars and are able to reuse them when their body butters are done. COMMENTS: These jars are even better than described! Very sturdy, glossy, and look more expensive than they are. Were perfect for my foaming sugar scrub. Definitely buying more! "Works great for my sugar scrubs." COMMENTS: The clear jars work great for my sugar scrubs to see color layers. I found out the decorative multicolored layers sell better, more eye pleasing. I had bought 100 jars elsewhere. 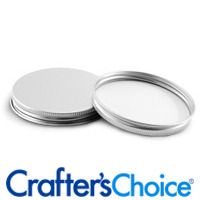 The Crafters Choice felt better, and I was more comfortable selling my product in these jars. The quality control seemed to be better, and packaged better. COMMENTS: I use these jars for my whipped butters and they are great!! COMMENTS: These jars are a basic jars at a good price, and just what I needed. COMMENTS: I have used these jars for my whipped sugar scrubs and body butters! I love buying the larger quantity and know that I am getting a great deal. This is the place to get your supplies. I would highly recommend. COMMENTS: These are roomy enough to pack a good amount of product in. I use them for sugar scrubs, whipped body lotion and whipped soap products. Fit with the flat white 70/400 lids perfectly. "Perfect for shipping sugar scrubs!" COMMENTS: I bought these for my sugar and salt scrubs. They’re the perfect size and I don’t have to worry about them getting broken during shipping. My only issue was they didn’t come with lids, which was my fault for not reading thoroughly. I was happy about the price until I realized I had to purchase lids also, which meant it was still more cost-effective for me to buy the glass jars from Walmart that I had been using. These will be the jars I use when I have to ship the scrubs. "These are the best jars out there!" COMMENTS: Nothing to say but great things. They are crystal clear, come in perfect condition and are competitively priced. I do wish they would sell them with the caps like some other shops do. COMMENTS: I use these stylish jars in my line and love them!! COMMENTS: Great container for scrubs and body butters. COMMENTS: I purchased these jars to use for sugar scrubs as well as body butters. They give my product a professional look, especially when I add my labels. Wholesale supply plus has the best price for these that I have found. These have become my go to jars. Reorder? Definitely! • Wide mouth, less mess. COMMENTS: Love the shape and size. Great clarity. Works great with my Avery labels, too. "8 oz Clear Basic Plastic Jar "
COMMENTS: Perfect jar for your products! No leaks or dents . COMMENTS: Always happy with these! COMMENTS: They have worked well for my needs and have a. Nice. Shine. Originally, I wanted my product line to be all glass but unfortunately that is too expensive So these are a nice alternative. 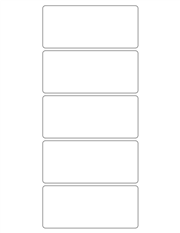 COMMENTS: Easy to fill containers. No cracks. No bends. No issues. Perfect for all my bath and body products. COMMENTS: I love this type of jar. Great for a lot of different products. COMMENTS: These are the perfect size for homemade body butters, lotions and bath products! NOTE: pay close attention to the product description! I made the mistake of not ordering the tops because I didn’t read the description! COMMENTS: Seems to do a good job. 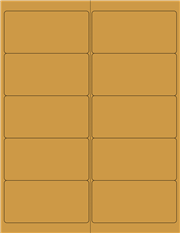 So much easier to make labels for these! I usually purchase amber jars, but this is giving my scrubs a clean fresh look. May be switching some of my other products to these jars. COMMENTS: These jars are the perfect size and look for my sugar scrubs. I also appreciate the versatility , as I am able to create a variety of products. Will definitely buy again. "Love the clear jars! " COMMENTS: I use these and the 4oz jars for almost all my products. I love that they are clear, It shows off the product and looks great! The 8oz are a perfect size too for my scrubs. The opening is wide enough to scoop out product easily. Also they fit nicely in the shower, just perfect size. "Great product for a great price!" COMMENTS: Perfect for bath salts, scrubs, and fizzies! Made in USA product! COMMENTS: Perfect for my body butters. I love them. COMMENTS: The straight sides on these let my labels lay perfectly flat with no wrinkling. Will definitely buy again! "Wonderful quality and price "
COMMENTS: These are my go to jars. Love the price quality and free shipping. COMMENTS: I use these jars for my lotions and butters and they work great. Never have any leaking and they are very attractive. COMMENTS: I love these jars! They can be used for so many different products! COMMENTS: Great quality. These are sturdy jars with perfect fitting lids. I've tried ordering from other places, these are my favorite! COMMENTS: Love these jars they are perfect for my whipped soap and sugar scrubs. "8oz 70/400 Plastic Jars "
COMMENTS: Very durable and just what I needed to store and sell my body butters in. I will try different colors once my business expands. COMMENTS: I use these for body butters and scrubs. 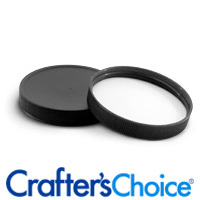 The jar size and opening is perfect and the size is just right for gift baskets. COMMENTS: Very pretty, excellent quality. I'd love to see these in a tall, narrow version -- or the same material used in a "french" style jar! • more soaps - french, etc. 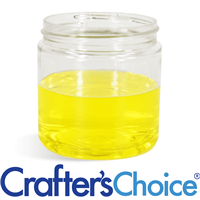 "8 oz clear plastic jar"
"Good size, even better price!!!" COMMENTS: This is my first time ordering this size, so I was nervous. I was so happy with these jars, and will be purchasing more again very soon! 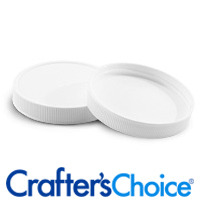 COMMENTS: I love these clear jars and use them along with the white domed lid. I use them for several different produts; whipped soaps, sugar and salt scrubs. It’s the perfect size and easy to fill with product and use. COMMENTS: I love these jars for my 4oz whipped body butters. They are the perfect size to include in gift baskets or stand alone on their own. Customers have no issue reaching all of the product without a scoop. COMMENTS: These are my go to jars for sugar scrubs. COMMENTS: They look so very professional and love to use the metal tops. Love the pricing, the quality the look...TY WSP! COMMENTS: Love the clarity in these, paired with a metal lid for a classy touch. COMMENTS: I absolutely love these jars. They are perfectly clear, the lids fit snugly, and they they display my product in a way that is beautiful and professional. 10/10, will absolutely order again! COMMENTS: Perfect size and thickness for almost all of my jarred products like bath salts, body butters, etc. Customers love them and keep asking where I got them from- I even had one customer looking at all the stores around town for them to buy! Labels stick great as well to the jars. 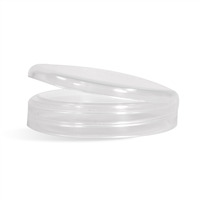 "Perfect Containers st a great price"
COMMENTS: These are great containers for my body scrubs and body butters. Sturdy and love that they are clear so customers can see product they are purchasing. 2×5 labels work perfectly on these. WSP has the BEST products at the BEST prices. COMMENTS: I use the 8 oz. plastic jar with the black ribbed top for my body creams and sugar scrubs. I used to buy all different types of jars and wasted a ton of $ but not anymore! 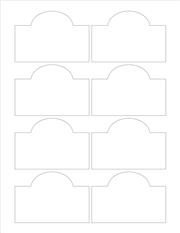 These are perfect for my products and ship very well with the shrink wrap that WSP sells that fits them. COMMENTS: I am using these for my Facial Cleansing Pads. 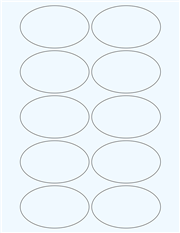 A stack of 30 cotton rounds fit perfectly and look very nice through the clear plastic. "best quality for a great price"
COMMENTS: Best price anywhere. Quality is excellent! Perfect size for sugar scrub. I am back for the third time to purchase these. COMMENTS: By far my most used packaging product. We use ig for sugar scrubs, whipped soaps, body budders, shave creams, and so much more! "Very durable, I love them]"
COMMENTS: These jars can be used for anything, not only do I use for scrubs but I also use for other stuff around the house. I love them! COMMENTS: These are perfect for my sugar scrubs! I buy all my jars from WSP! COMMENTS: These jars are a must have if you make any type of lotions, creams, and body butters! I use them for my body butters and they work perfectly! They are lightweight and I love that they are clear. They make my labels for my body butter POP plus you can actually see what the product looks like. I highly recommend these! COMMENTS: I love these jars! They are perfect for everything and takes just enough space. Strong, clear and the top fits like a glove.I have not had any problems with anything spilling,. COMMENTS: Perfect for my whipped body butters. Pairs well with the metal lids. Makes my product look elegant. "I can’t believe I forgot "
COMMENTS: I can’t believe I forgot to buy the lids! But can’t wait to use these they seem like just the right size for my sugar scrubs and bath salts! • Remind to buy the lids! COMMENTS: These are perfect & the best price out there. COMMENTS: These jars are the perfect size and my customers love them! 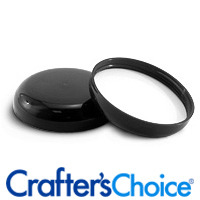 I use them with the black lids and my product sells well in them! I use them for whipped soap, scrubs and whipped body butters! Thanks for having such a great product! COMMENTS: Love the size of this jar. It fits my body scrub nicely it’s a great size for using in the shower! COMMENTS: Perfect basic jar. Works well for my fizzy Bubble Bath and emulsified Sugar scrubs. COMMENTS: These are the perfect size for body butters and creams. COMMENTS: I love these jars. I use these for my sugar cube scrubs and they fit perfectly in them and looks nice. My label goes nicely on them too. • Very clear and not dull. COMMENTS: These are not flimsy or cheap. Nice quality and looks classy with black tops. "excellent jar; can never have enough"
COMMENTS: I use this and the other size PET jars to store ingredients and package liquidy as well as solid products. I like that I can buy separate liners for each size; this keeps oils from seeping out. 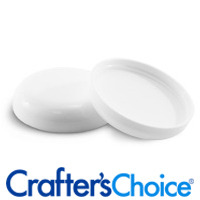 "Love these for whipped soaps and scrubs"
COMMENTS: These are really sturdy and great for whipped soaps and scrubs. COMMENTS: I used these jars for my whipped soap and they were just right. Heavy enough for whipped soap, but I wouldn't use for sugar scrubs. COMMENTS: Get most of my jars and bottles at WSP! COMMENTS: Perfect size for bath salts, very professional appearance, received many compliments on presentation of product. COMMENTS: I used these jars to make whipped sugar scrubs, bath salts, and body butter. I thin the're the perfect size for something like those things. There didn't seem to be any problem using EOs with the plastic and I was surprised at how heavy duty the jars were. They look good with the white lids, I think the black lids would go nicely with a mens line. COMMENTS: These jars are durable and work great. I use them for a Edible Cookie Dough that my company makes and they’re perfect for what we need. "Unicorn Body WHip Looks awesome in this Jar"
COMMENTS: Also keeps the product affordable compared to glass. 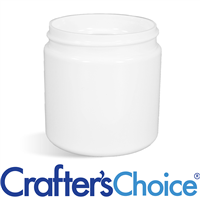 COMMENTS: This jar is a lightweight clear jar that works excellent for sugar scrubs and facial clay masks. It is sturdy. I will definitely order again. COMMENTS: Love the look of these with the silver lids for my Herbal Bath Salts! COMMENTS: I use these for my whipped sugar scrubs and they are perfect. I also use the ribbed white lids and seals. They bring a nice professional look to my products. Thank you. COMMENTS: Holds quite a bit more than I expected (about 11 ounces of bath salt and 9 ounces of scrub). I use a 7" x 2" glossy label that makes these jars really pop and look professional. Will definitely order more when needed. COMMENTS: Very clear and nice looking jars. Much easier to fill that jars I use to use. Will get again! COMMENTS: Nice jar, very versatile, makes my products look very professional. "Perfect amount and look! " COMMENTS: I use these for 3 different products. Lotion, body wash and shimmer lotions. I usually don't order enough so I have to reorder more often. (thankfully). These are a perfect jar! COMMENTS: These are one of my favorite jars to use for my sugar and salt scrubs! COMMENTS: These jars are great quality. I use them for bath soaps, whipped soap and sugar scrubs and they work perfectly. COMMENTS: People love being able to see the product without opening jar. COMMENTS: Cute, durable jars, just perfect for my whipped soaps! COMMENTS: Easy to fill and label. Love them. COMMENTS: I bought these to use for my emulsified sugar scrubs. They look great, and hold 8 oz of scrub. Will purchase again! "Good product at a great price! " COMMENTS: This is the perfect jar when saving money is the priority but you still need a professional looking product. "Perfect for Salts & Scrubs"
COMMENTS: I love these jars. They are perfect for my Scrubs and salts. The mouth is wide enough to pipe which is wonderful. COMMENTS: Perfect for my sugar scrubs! COMMENTS: I have yet to find a lower price! Always preform perfectly! COMMENTS: Perfect size for sugar scrubs. Easy to fill. Love that it is clear to show the beautiful colors. COMMENTS: The perfect jar when customers wanted larger sized scrubs. "Perfect size for sugar scrubs"
COMMENTS: I use these for my emulsified sugar scrubs and they work perfectly. COMMENTS: This was the perfect size for me! 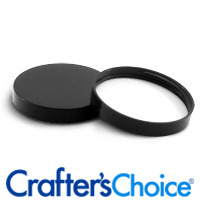 Super durable and they look very professional! Love them! COMMENTS: I really like these wide mouth jars for my body mousse & creams. They are easy to fill & are super sturdy. I think they are really professional looking too. COMMENTS: I love these jars, nd the price! My customers like that they can reach all the way to the bottom to get the last little bit of product out! Great job! "Perfect size for sugar scrubs!" COMMENTS: These jars are the perfect size for sugar scrub. They hold around 9oz of scrub. No manufacturing flaws. COMMENTS: I absolutely love these jars. They are great for salts/sugar scrubs. "Perfect Size For All My Needs"
COMMENTS: Love this jar. It is the perfect size for my sugar scrubs. The clarity of the jars makes my labels stand out as well as letting customers see what exactly the scrub looks like. Love these! COMMENTS: These are great little jars and look great. Perfect for sugar scrubs! 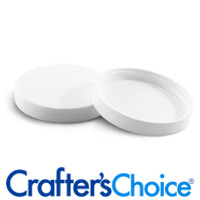 COMMENTS: These are my favorite jars to use for my scrubs they have a wide opening and are very sturdy. 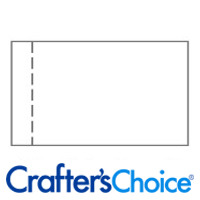 I love putting the kraft square label on the front and back of these for my labels, they are truly the best! "I loveeee these jars !" COMMENTS: I LOVE these jars ! "Used for my sugar scrubs "
COMMENTS: Really good plastic jars. COMMENTS: I use mostly for my body butters and i must say they are awesome do not leak, outside clean up is great no streaks, great fitting tops can even withstand being in the fridge! COMMENTS: I love these jars. I bought mine to use for my sugar scrubs. I like the clear jars because i color my scrubs and i like to see the tye dyed effect. These are also great for body butters and ive always used them to mix things in or store left over oils or micas. Just great all around jars. Will defiantly be buying again. COMMENTS: These are very nice jars, perfect for my solid sugar scrub cubes. I like using the clear jars because my customers can see exactly what they're getting. COMMENTS: Great! Thick and High Quality! "Suzi Melts - Mini Cubes"
COMMENTS: I have ordered from WSP for many years....I don't create B&B products anymore just the wax melts. I was skeptical about using these 8oz. jars but after I added my melts to the jar and screwed on the lid, I was blown away! I have ordered these jars many times in the past and I was never disappointed. I wanted a clear lid but the black lid did give it that simple but elegant look I was after! I tried the bags I had ordered too but that jar makes my mini wax cubes product look so professional! Thanks!!!!!!! "In love with these jars "
"8 oz Clear Basic Plastic Jar"
COMMENTS: Great size jar for my sugar scrub cubes, whipped soaps, and body butters! I like the clear jars to show the product. They look great with a wrapped label! "Great size for bath salts"
COMMENTS: This is a perfect size for the bath salts. Easy to decorate. "Perfect for my Emulsified Sugar Scrub"
COMMENTS: I love these plastic jars. They work wonderfully for my emulsified sugar scrubs and body butters. I love the flat surface which makes it very easy to apply labels. I also buy the flat lids which makes it easier to stack my products, either for sale or for storage. COMMENTS: The jars are the perfect size but they are a bit thin. They work well for my body butters and sugar scrubs. "Great Jars and Great Price"